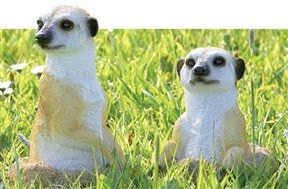 Meerkats are all the rage at the minute, so why not get some for your garden. prices start from only £9.99. This set of 2 Garden Meerkats is half price, now only £9.99 and will make a delightful addition to any lawn.